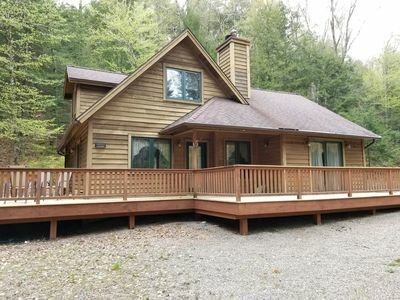 Log Cabin nestled in the heart of the Adirondack Mountains, on the edge of "Indian Bay" at the family-resort area of Hulett's Landing, NY on Lake George, tucked into a corner of the bay with magnificent views of Lake George and surrounding Adirondack Mountains. 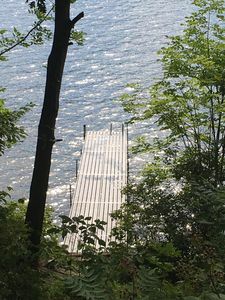 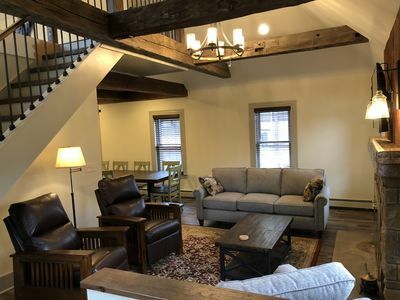 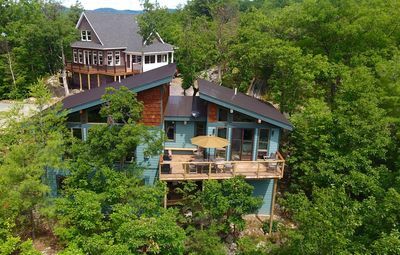 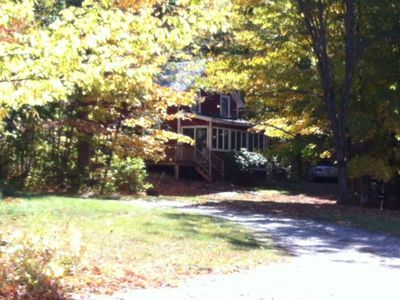 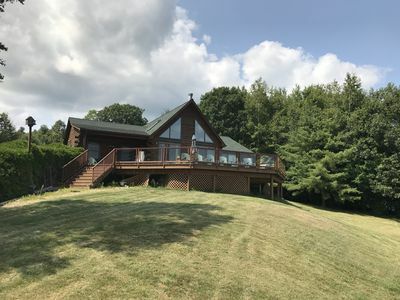 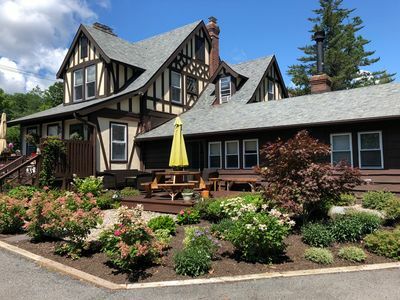 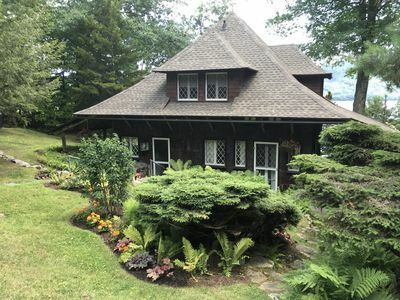 Located on the EAST side of the lake, about halfway up and 45 minutes from LG Village, 20 minutes from Whitehall, NY, 30 minutes south of Ticonderoga & half hour to VERMONT. 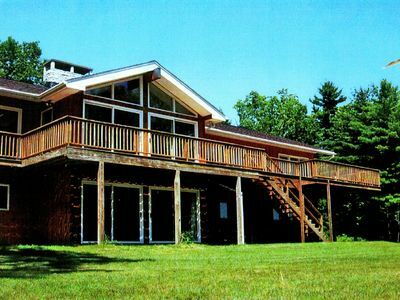 SATURDAY to SATURDAY RENTALS ONLY, IN SUMMER. 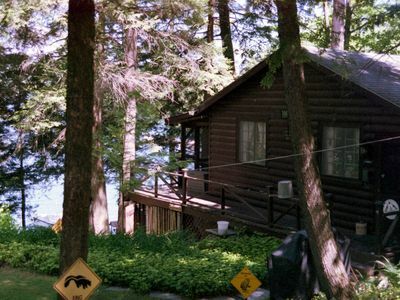 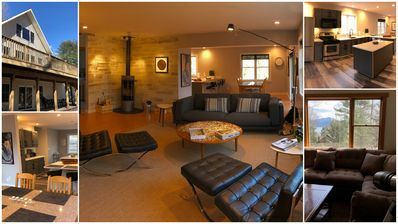 ( Minimum Stay in Non-Summer Days being for FOUR nights, at $250 per night). 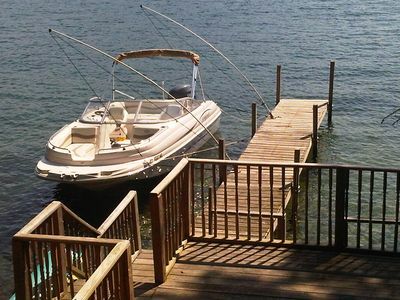 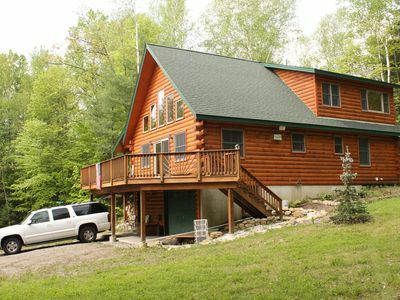 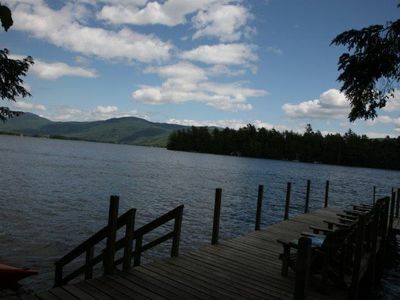 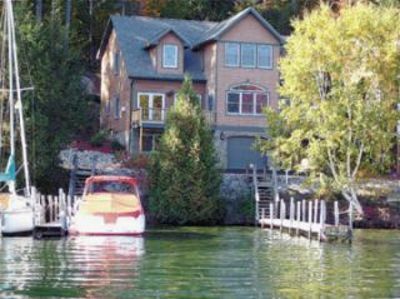 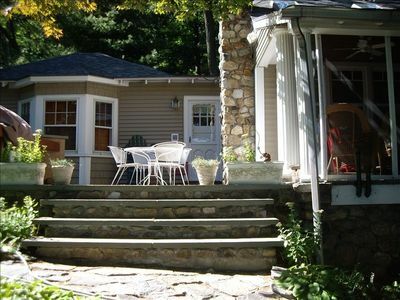 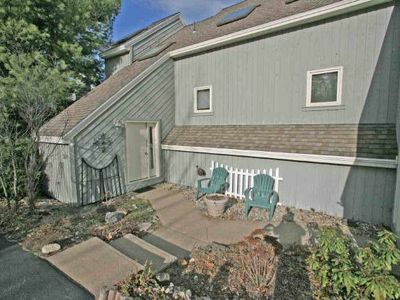 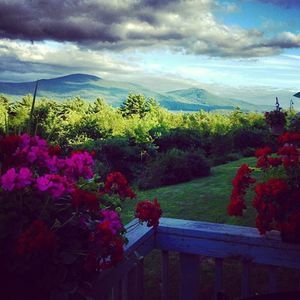 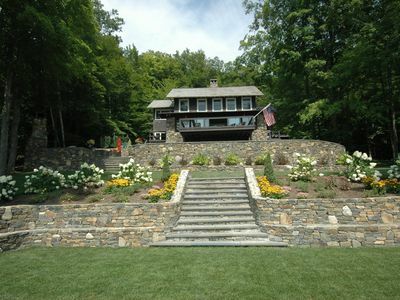 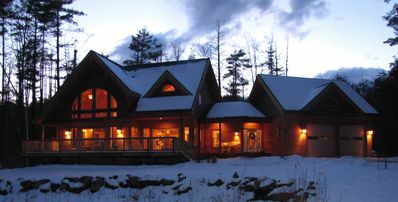 Welcome to Our Beautiful Lake George Adirondack Home! 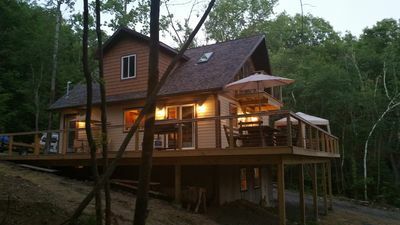 Lake George Cliff House - New outdoor hot tub!